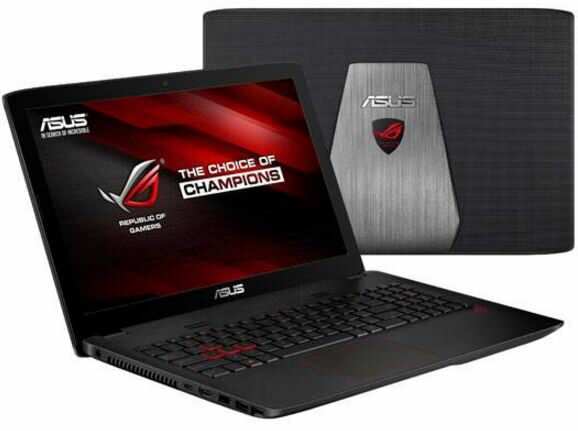 ASUS has launched the ROG GL552JX gaming-centric laptop in the Indian market. The notebook is powered by the new Gamefirst III technology, which as per the company provides a lag-free experience even when gaming online. One of the highlights of the new ROG laptop is the NVIDIA GeForce GTX 950M graphics processor, offering 4GB of video memory, which delivers great gaming performance at full HD resolution. The ASUS ROG GL552JX comes with a 15.6-inch LED backlit display bearing a full HD resolution and 16:9 aspect ratio. The laptop is powered by the fourth-gen Intel Core i7 processor with a turbo boost speed of up to 3.2GHz. The CPU is mated to 8GB of RAM and Intel HD 4600 graphics. It comes with 1TB of 7200rpm hard disk drive storage. The ROG GL552JX comes with two user replaceable memory slots with a dedicated memory door at the bottom. For connectivity, it gets three USB 3.0 ports, one HDMI port, an SD card slot, LAN port, Wi-Fi and Bluetooth 4.1. It comes with Windows 10, and is fuelled by a 4-cell battery. The notebook also offers Sonic Master audio and a backlit keyboard with dedicated numeric keypad. Priced at Rs 80,990, the ROG GL552JX falls in the premium end of the price spectrum. The company has also plans to launch more gaming laptops with 4K UHD display and up to 64GB of RAM in the near future.